« My Lotion Collection + 1 Month Blogging! 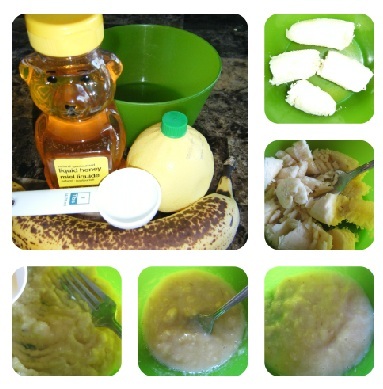 Mash the banana in a bowl, then add 1 tbsp of lemon juice and 1 tbsp of honey. Mix well. Apply the mixture to your face and allow it to sit for 15-20 minutes. Wash off with warm water. Sorry for such a quick post. I promise I’ll make it up to you in future blog posts. Does anyone have any suggestions for future blog posts? Let me know, I would love to hear from you! This entry was posted on June 27, 2013, 10:05 am and is filed under Beauty, DIY, DIY Beauty. You can follow any responses to this entry through RSS 2.0. You can leave a response, or trackback from your own site.